The first International tourists received their Electronic Visas for entry to the Russian Federation through the Far East region, reports Minister of Russian Federation on Far East development Alexander Galushka. During the first day, 90 applicants have used an Electronic Visa service. The simplified Visa service is mostly popular among Chinese and Japanese citizens. Today, Electronic Visas were granted to the 42 residents of China and to the 38 residents of Japan. The same Visa was also approved for the citizens of Algeria (two people), India (one person), Iran (two people), Kuwait (one person), Saudi Arabia (two people), Singapore (one person) and Tunisia (one person). Foreigners are arranging single entry Business, Tourist or Humanitarian Visas. We would like to remind you that the simplified Visa processing has been set at the Far East starting from the 1st of August 2017 for the residents of 18 countries. This list was stated by the Russian Government and includes the following countries: Brunei, India, China, North Korea, Mexico, Singapore, Japan, Algeria, Bahrain, Iran, Qatar, Kuwait, Morocco, United Arab Emirates, Oman, Saudi Arabia, Tunisia, and Turkey. 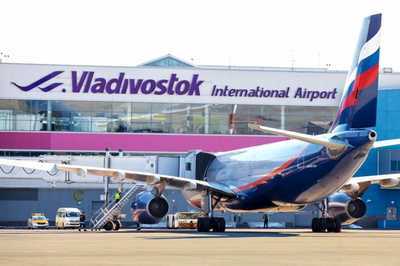 The new simplified Visa processing is available only for visitors passing through the Maritime checkpoint in Vladivostok and the Knevichi airport. Starting from January 2018, two more checkpoints at the Kamchatka and Sakhalin Island will start servicing Electronic Visas. Moreover, the guests of the Eastern Economic Forum, which will take place in Vladivostok from 6th till 7th of September, would also be able to apply for the Electronic Visas.